No matter what your discipline, one of the tasks of a designer is to make sure that code or ordinance requirements are met. A lot of codes and ordinances incorporate clearance, spacing or directional items that must be complied with. Verifying compliance is a regular task that could mean embarrassment or possibly a red tag and significant costs if it is not caught in the plans review but does get caught in the field. Two common code regulatory agencies that have requirements that are perfect for incorporating into blocks are the American Disabilities Act (ADA) and the National Electric Code (NEC). I have dealt with both myself, and it always adds a little more time than I would like to spend to verify that the necessary clearances are met – especially when plan changes happen. Now this does not mean I do not want to do this important task, I just want to get it done faster! In my current field of work, the NEC is what I deal with regularly, and an important concern is that of clearances in front of and around electrical gear. This is a safety issue, and if not met can stop a job in its tracks and possibly cause expensive re-work. A few years ago I decided to address this by incorporating these clearances in the company’s master blocks. As the blocks got more detailed, they became more useful for not only verifying code clearances but also being able to verify quick electric room layouts. Below is a screen shot of an electrical room without clearances shown. 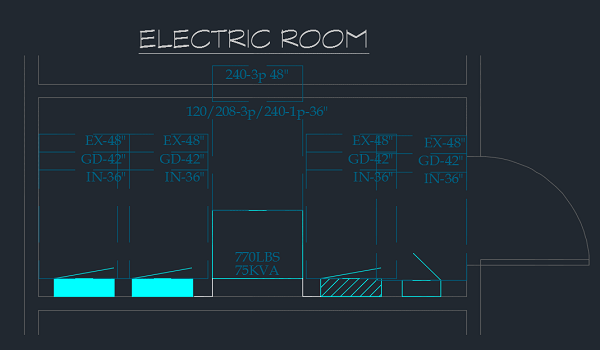 When looking at this electric room plan, the non-electrical person will often assume the room is too big and has a lot of wasted space, which is something we deal with some building owners and architects. We don’t want to waste space if possible, but as part of our design, we have to consider, future expansion, ventilation around equipment, and most importantly manufacturer’s and code required clearances. Below is the same room with clearances turned on. The clearances shown in Figure 2 above are on a non-plot layer called “E-clearances” (not defpoints). Note: If you have a bunch of (or any) non-plotting notes and line work on defpoints – please don’t. 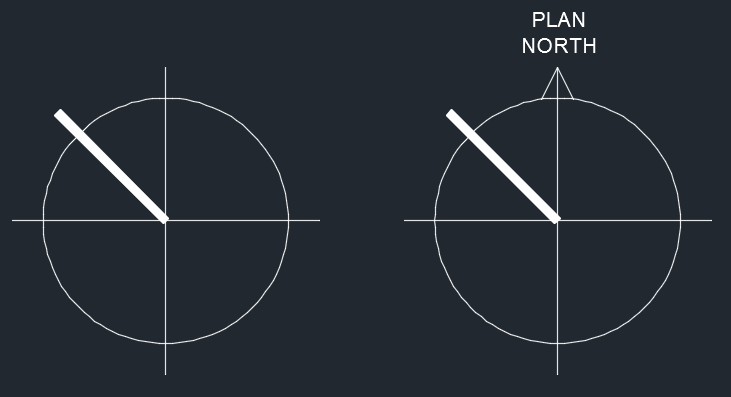 Defpoints has a purpose, and it’s not for storing your coordination notes and linework. If you would like an explanation as to why using defpoints is bad, check out the post titled “Layers are a piece of Cake” – my first ever FunctionSense post. I typically leave this non-plotting coordination layer on as an easy check when there are background changes – to make sure we stay in compliance. To make the blocks even more informative, add supplemental data that allows you, your coworkers and any team members that you share your drawings with to stay informed on your design intent. In Figure 2 above, you may notice text in the transformer and clearance lines. The text in the clearance lines lets us know which code situation we fall in based on the voltage and material in front of the gear. The notes in the transformer tell us what size transformer our layout is based on and how much it weighs in case it needs to be hung from structure. This may also be helpful for any other team members that we share the drawings with. Most companies, mine included, use a specific manufacturer as the basis of design. One of the things I have also started incorporating in manufacturer specific blocks is an additional ‘Visibility State’ that lists the manufacturer’s reference data or specific application notes. Check out this quick video showing some of the features mentioned above. 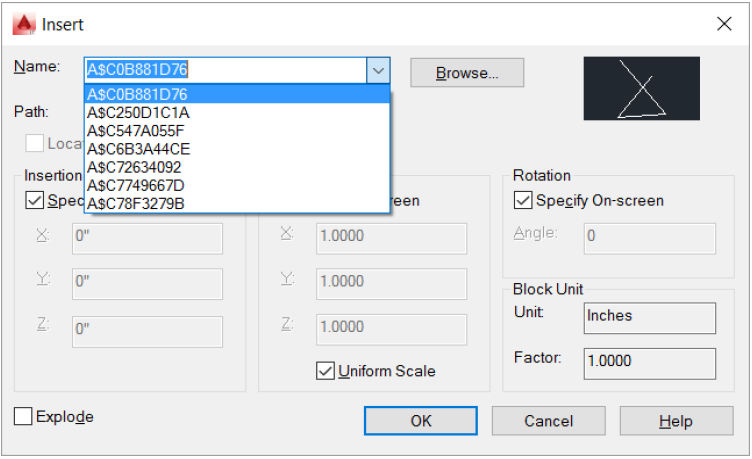 Are you incorporating code, ordinance or manufacturer’s data in your blocks for coordination purposes? If you have a unique idea, I would love to hear about it. Leave it in the comments or email me. Create real blocks in lieu of Anonymous blocks! As a designer I work in AutoCAD on a daily basis and use files provided by others. I am constantly miffed by the level of quality or lack there of in the files that I receive. Today was another example of what I typically refer to as BAD CAD and why I had to do a little Rant! But this one got me irked enough to write about it. Today’s BAD CAD involved an issue I see pretty often, which involves blocks – but this drawing managed to actually cover a few of my hot buttons in one single session. Blocks were all anonymous “A$C63F21903”, “A$C6F944C45”, etc. Blocks were bylayer – Gold Star! For some, the flaws are obvious, for others – maybe not so much. Let’s look at each one to see what could have been done better. I guess this user did not know how to use the mirror command. When I edited the blocks, the line work was ‘BYLAYER’, which is great – gold Star! Of course they lost the star by making the blocks on a ‘ec’-text’ layer instead of layer ‘0’…. 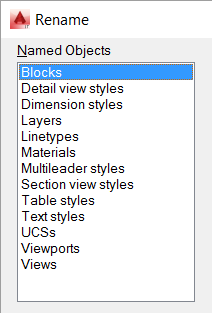 I am all about “Standards” – except using the default AutoCAD Standard styles for anything. You can check out the 101 series I did earlier on the topic of blocks here. Daily I deal with AutoCAD drawings from drafting ‘professionals’ that seem to still not understand some Basic AutoCAD 101 Rules – (fundamentals). If you are an architect or architectural draftsperson – think of your electronic drawing audience – i.e. your consultants. Your drawings need to be easy to use for everyone, not just you. Following some basics adds very little time to your work and in many situations will actually save you time. Do NOT use the out of the box “STANDARD” styles for Text, Dimensions, Multi-leaders etc… If you love them, copy and rename to something original. Use Xreference files – NOT blocks when assembling plan drawings. – i.e. Do NOT create a floor plan and then start a new drawing for a ceiling plan and block in the Floor Plan. With proper Xref management, you can put all this in one drawing. 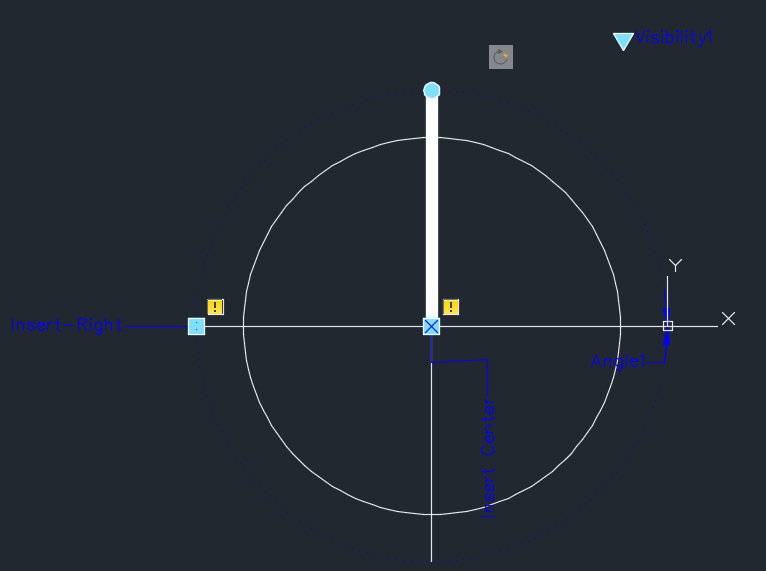 Do NOT put drawing components in Paperspace – Draw in Model space and create viewports in Paperspace. When doing text, use justification – there are more options than TopLeft. For downlights – draw your circle on layer “0” and save as a block called “Downlight” – 5 seconds! Copy this around your drawing and if you want it to look different or change size, just tpe BEDIT and change the block. Be descriptive and use more rather than less. – If you are drawing walls for New, Demo and Future – create them on different layers, NOT on one and change the linetype. – For a ceiling plan, do not put all lights, diffusers, speakers and sprinklers on the same layer as your grid. Place them on differnt layers – different consultants use them diferently. Do NOT use Layer “0” for drawing anything but blocks. Do NOT use Defpoints to draw items you do not want to plot. Make a seperate Non-Plot layer. Once you draw a plan and send it out – do NOT move it from it’s original location! Do these basics and the world will be a better place – atleast for me… If you don’t know how – ask me. 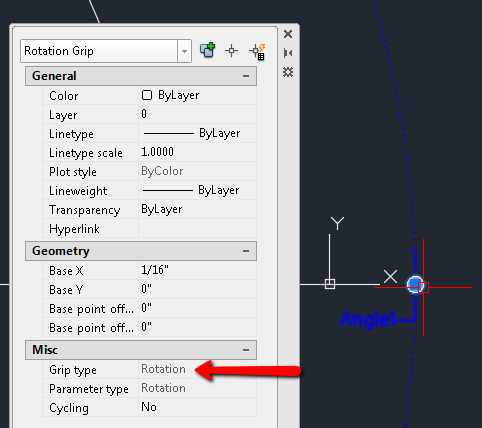 This is the 15th article in my AutoCAD 101 series – to read about the origination for this series, see the first post here: <Intro> The last post in this series was a summary of external references basics. <link>. In this post I will discuss various methods of attaching and accessing external references (XREFS) and common commands and system variables. In the next post I will go over some XREF-ing tips and tricks. Because AutoCAD now has so many external attachment options, the “XREF” or EXTERNALREFERENCES” dialogue gives you a full picture of all your attachments. If you choose the drop down menu in the upper left (Figure A), you will see the variety of file types that can be attached to your working drawing. For daily use, I use the CLASSICXREF command which is “XR” in my shortcut keys to do daily DWG reference functions, see Figure B. Sometimes you may want to make the externally attached files a permanent part of your working drawing, such as for archiving or sharing with another program that does not understand reference files. Note that Images, DWFs, and PDFs cannot be bound. There are two options for binding external references, ‘Bind’ and ‘Insert’. When choosing the Bind/Bind option all logical named items in the external reference files get bound with a prefix denoting the original XREF name. These items include layers, line types, text styles, blocks, dimension styles, etc.… This can make for a very messy listing of the various types or very useful depending on your goals. Bind/Insert merges all the items previously mentioned into the working drawing. I typically prefer this binding option as it reduces the clutter in the drawing and makes it easy to do updates. As you can see above in Figure E, it is much cleaner to use the Bind/Insert option. Note that the additional “$0$” symbology will also get added to all your line types, text styles, blocks, etc… when you use the Bind/Bind option. NOTE: If you are having trouble getting files to bind, run an audit and purge on the XREFS and the working drawing, that typically does the trick. AutoCAD has the ability to ‘nest’ XREFs, i.e. attach an XREF that has an XREF attached to it. In the XREF manager (CLASSICXREF) and in the External References dialogue, you will see two icons representing two different dialogue views. You can see when a XREF is nested using the ‘Tree View’. The benefit of this feature is that you can stack XREFs for coordination purposes. I.E. Assume you are working on a reflected ceiling plan and you need to coordinate diffuser and sprinkler locations with your lights, you can attach the HVAC plan and the sprinkler plan to your file to do your coordination. You can keep these files attached for future change coordination but hide them from view. In the “Xref Manager” dialogue, select the file you wish to hide and choose the Unload button. In the “External References” dialogue, right click the file and select ‘Unload’. These functions are all part of the normal nesting function of XREF attachments. There is another attachment option called “Overlay” that allows you to attach a XREF to a file and only allow it to be seen in the current file. Note that this does not work for Images, DWFs or PDFs. Using the above example for coordination, if the Electrical designer wishes to power up the lights, they could attach the reflected ceiling plan to their lighting plan to do their circuiting. If the HVAC plan and the sprinkler plan were standard XREFs, they would see that on their plan as well. If they have no need for that, to avoid possible confusion you could attach the HVAC and sprinkler plans as “Overlays” and the electrical designer would not even know that they existed. You can change the reference type on the fly; In the “Xref Manager” dialogue, select the file you wish to hide and double-click on the word ‘Attach’ or ‘Overlay’ under Type and it will change. In the “External References dialogue, right click the file and select Attach, and in the pop-up make your change. 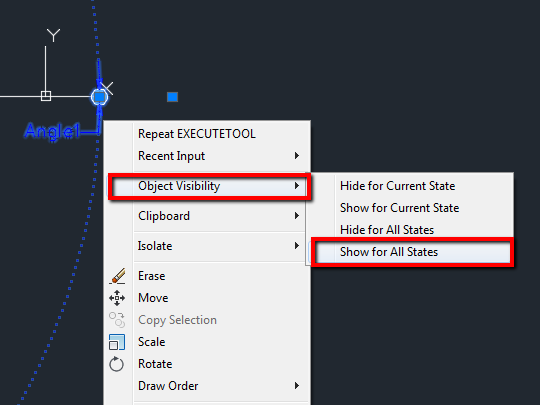 There are a lot of commands and system variables that can be used when using External References, but like most other AutoCAD features you typically only need a few. Below are the most common commands and SETVARS that you would use on a daily basis. Allows binding of individual items from an external DWG file attachment. Say you want to bring in ablock or linetype from the external reference, use XBIND to bind it and then rename it if you would like. Controls visibility, color, linetype, lineweight, and plot styles. Should be set to “1”. Controls the notification for updated or missing XREFs. Should be set to “1” or “2”. Controls the default reference type when attaching or overlaying an external reference. This depends on use, but the majority of XREFs will be “Attachments”, not “Overlays”. See “Overlays vs Attachments” section above. If you are currently using external references then you have already seen the many advantages that they provide. If you are not currently using external references, it’s about time to get attached! In the next post I will go over some XREF-ing tips and tricks.